In the United States, over 11 million men and women make up the workforce for the dynamic, complex and ever evolving construction industry. Improving safety regulations and encouraging safer building practices remains one of the industry’s top priorities, especially as the industry continues to be one of the main contributors to severe and sadly sometimes fatal accidents in world. For example, the construction industry qualifies as the most hazardous land-based work sector in Europe, making construction safety a global initiative for all. Just as building more efficiently has made a huge impact on construction projects, building safety is following close behind. The American construction industry is made up of 6% of U.S. workers, though it has a total of 20% of the fatalities, making it the largest number of fatalities reported for any industry sector. Such numbers call for immediate improvements. To be fair, construction conditions have improved greatly over the years, and in particular over the last 15 years. And as technology continues to evolve, so do the construction industry’s safety and working conditions for all construction workers. Because safety and security in the workplace is a group effort, the industry as a whole and the workers on the construction site need to cooperate and work together to ensure that safety regulations are in place and adhered to by all. Though worker safety has certainly always been on the minds of construction workers, the industry itself took some time to catch up. And lack of safety and regulations throughout the ages were not restricted to the construction industry, by any means. As the 1906 novel, The Jungle, by Upton Sinclair famously exposed, the living and working conditions of workers in industrialized cities across America were very bad. But as the importance of construction workplace safety began to take hold, many momentous occasions began to lay the foundation for all the safety improvements to come. For example, Massachusetts, in 1877, passed a law that required the guarding of dangerous machinery, in addition to establishing its authority to enforce factory inspection programs. Many years later, as part of another important development, the Construction Safety Act was passed to improve safety standards. No two construction job sites are the same, and it can be a hard task to ensure complete safety in a dynamic work zone, which makes the implementation of safety standards even more important for the industry. 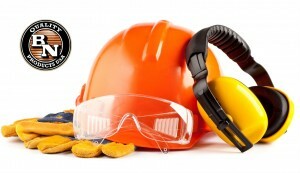 In today’s world, where employers hold responsibility for the health and safety of construction workers on the job site, procedures and regulations are not only in place to protect the individual workers, but also the construction companies, and the clients, who can all be negatively affected by a lack of strict safety standards on the job site that can encourage lax behavior and job performance in workers. As safety standards in the industry improved, the utilization of hard hats and steel toed boots was recognized as two of the most common pieces of protective equipment worn by construction workers across the world. Other common pieces of personal protective gear to protect today’s construction workers include reflective vests, gloves, harnesses, safety eye goggles, and protective masks. Heightened safety measures, guidelines and routine inspections, including drug tests, are also safety measures that ensure the individual workers, and the construction project as a whole, stay protected. Construction safety for the industry’s workers is continually seeing a transformative change. It is projected to continue to do so over the coming years as innovative solutions and applications, such as wearable technology, like hard hats with motion sensors or safety vests that track body temperature to prevent heat stroke, and mobile job site management devices, continue to make job sites more safe and processes more efficient. The use of proven professional construction tools that follow the highest standards, such as the BNCE-20 Cutting Edge Saw that provides safe and easy maneuverability in the tightest areas without sacrificing cutting ability, while simultaneously reducing blade exposure and cutting sparks significantly, also ensures that workers perform their work to the highest standards while staying protected and safe. For more information regarding construction tools to improve safety and efficiency on your next construction project, review our full collection of quality professional construction tools today.